The F1 world breathes a huge sigh of relief today with the news from the WMSC meeting that Max Mosley has announced that he will not stand for re-election. There has also been an agreement on cost reductions for the next two years (and no mention of a cost cap), with the teams to sign a new Concorde Agreement to run to 2012. Effectively, this means that FOTA has achieved all of its objectives and there will be no breakaway series as a result. One FIA, one F1, one victor - the sport! As interesting as the prospect of a FOTA series was, with all the speculation regarding possible race venues that went along with that, it must surely be preferable that F1 remain one series and the pinnacle of motor sport. Although it was not inevitable that a split would create two weak championships in the place of a strong one, it would have taken time to build up to present levels and the continuation of a united F1 is the best outcome possible. We should be grateful that Bernie Ecclestone, Luca di Montezemolo and the WMSC have at last managed to get Max to face reality. Regardless of the wording of Mosley's announcement, it is clear that he has suffered a humiliating defeat. None of his intentions for the future survive and we can look forward to a sensible adjustment of the 2009 rules to be hammered out in the next few weeks. I would guess that the changes to the rules as they are at present will include such things as a ban on refueling, no KERS, the end of tire warmers and limitations on expenditure to bring it within about 100 million euros. It will be evolution of the sport instead of revolution. The fans are already celebrating, apart from those few who were dead set on a completely new series, but I would mention that there have been casualties in the battle. Chief amongst these must be Prodrive and Lola, whose applications to participate in F1 were not accepted by Mosley. In a political move clearly designed to give Max a little more wiggle room, these excellent candidates were shoved aside in favor of Campos and Manor, neither of which have any history in the sport. It is unlikely that the final entry list, due out later today, will include any teams from Mosley's "reserve list". Poor Dave Richards, who has now tried twice to enter Prodrive to the game only to be foiled on both occasions by the failure of Max's promises. We can guess that the list will consist of the eight FOTA teams plus Williams, Force India and the three accepted new teams, therefore. And that, in spite of the loss of Lola, Prodrive and N. Technology, is one of the good things to have come out of the mess. F1 will have a full field of thirteen teams and twenty-six cars next year - something that has not been true for many years. I would have liked to have seen the losing three included and a return to pre-qualifying but one cannot have everything, I suppose. There remains a nagging thought that somehow Max will find a way to remain as FIA president for years to come. I have become so used to his reneging on every promise and his political maneuvering that it hardly seems possible that, come October, we will never have to talk of him again. Were he to manage that and somehow hang on to power, he would have outwitted FOTA in that October would definitely be too late to set up an alternative series. But no, surely this time he has lost for good. Any such continuation would bring an immediate revolt amongst the teams and we would be faced with the destruction of F1 with nothing to replace it. Mosley's days in charge are really numbered, an outcome we all hoped for but did not dare to believe possible. Congratulations to FOTA for braving it out to the end, knowing that the vast majority of the fans were solidly behind them. Let us look forward now to years of improving racing as common sense becomes the government of the sport, rather than the egomania of one man. As long as Mosley and Ecclestone are still part of F1 there is no victory. To think that Mosley will not try something else to gain power is sheer folly. IF he steps down in October, he is still left with 4 months to find, either some way to remain on top of the rock pile or to plan his personal vendetta as he has carried out vis-a-vis McLaren. Ecclestone is still syphoning off the hard earned cash and the FIA has its fingers in the finances of the teams. The fox is still in the hen house and the drunk farmer is bragging that he's got a new trophy fox pelt. F1 still has at its head a delusional, power mad egomaniac who sold away the team's earning power to another power mad Midas who has admitted to having no real interest in grand prix racing and is as dictatorial to those who try to promote races as Mosley is to the teams. To think these two have had some grand revelation and are now benevolent race fans is as delusional they are. As Benjamin Franklin wrote, ""People willing to give a little bit of freedom for a little bit of security will have neither because they deserve neither! Mad: He's 79 years old. How much longer can he last...? interesting to read that Mosley' time in power is not numbered it actually is OVER! Responsible for everything FIA as of now will be this fellow called BOERI. do you have any knowledge of this man Clive? Clive all winners except the fans. What apperently has not changed are two issues: Presence of F1 racing in US / Canada and second the price tag involved for fans. Although a comprehensible agreement for many it's still a missed opportunity for some of the issues. (Hockenheim can now also be added to the list). So FOTA and FIA have left "me" in the cold despite naming the two issues in several interviews as important. A last small remark: Mosley will go to the FIA senate (James Allen) so he will have influence. To replace him I can think of one name: Ari Vatanen? Michael: I haven't seen anywhere that Michel Boeri is taking over in the meantime - that must be the latest. If it's true, I must say that FOTA have indeed made sure that Max has no chance of coming back from the dead. Boeri is Vice President of the WMSC and represents the Automobile Club de Monaco. I know little more about him except that he is pretty influential in F1, thanks to the Monaco connection. His name is occasionally mentioned as a possible replacement for Mosley. I'm still hoping for Nick Craw, however. now here we are talking about a street smart fellow who has been enjoying his front row seat whilst the proverbial ... hit the fan. thrice at least. I have a gut feeling Bernie is too smart to have his work his character put through something as painful as that. Bernie will bow out just in time. K2San: Bernie has been talking to the Montral organisers and the chances of the Canadian GP returning seem quite strong. Hockenheim is a bit of a blow but I think the circuit was ruined anyway with its recent changes. The whole episode has made Bernie reconsider all sorts of things and it is quite possible that his attitude to circuits will be somewhat softer, I think. He knows how unpopular he is now! Unfortunately, it does not matter who we would like to see as FIA President. The FIA delegates will inevitably vote in one of their own, most likely Michel Boeri or Nick Craw. The only way for F1 to get rid of the FIA + Max and the CVC + Bernie is to get rid of them. Now we can only trust in FOTA’s decision that their compromise is best for the sport, all the while remembering that they have made a compromise and can justifiably walk away altogether, leaving the fans nothing but an F1 memory, should they be crossed again in the near future. The one thing we can be very sure of is that there was more went on behind the scenes than will ever be revealed to the lowly public. National security - don’t you know? Mad: A whip-around? Perhaps an auction would be more appropriate, for there are any number of candidates who would pay well for such a privilege! Clive: Indeed, but so is a genuine turkey. That’s why they make shotguns! I've got to believe Bernie is now fully aware of how much power FOTA has and will react accordingly. Even though it wasn't mentioned in the press releases about the settlement, I've no doubt FOTA made it clear their feelings about adding or reinstating venues in North America...particularly the U.S. Bernie's no dummy. I'm sure he knows what he has to do to maintain the peace...and knows full well what will happen if he doesn't. Don: Isn't that exactly why Bernie has started talking to the Montreal organizers again? He knows he's annoyed everyone by getting rid of that one. I am hopeful that the combination of a potential Canadian GP on the calender, the USF1 team, and the latest political shenanigans in F1 will again bring F1 back to the states. It makes sense in my opinion to have two North American races back to back to offset the cost of coming over to race. Yes, I know, I just used the term 'sense' when referring to F1. I do believe the manufactures see the value of racing here. With the sorry state of American car makers, they SHOULD be pouncing on the opportunity to build their brand name up. Hopefully, the USF1 team will build up fan support and bring F1 more recognition in the fans eyes. And someday, either through senility or default, Bernie must once again see a race is needed in one of the biggest car markets in the world. Unfortunately this probably means any resolve to the USA, Canadian and French GPs has retreated over the horizon once more. Any suggestion of reinstating Mexico or Argentina are out because they aren't in Ecclestone's comfort zone, time zone wise. Instead of having a clean slate to draw up something really good we, once again, have compromise which means bad rules, bad design to fit the rules which lead to boring processional races. Mosley and Ecclestone are figureheads to a dying spectacle. They are ultra conservatives in a sport that must feed on liberal, informed and educated thought. To not go ahead for something new and better at this point is only asking for the same thing to happen again at a later date. What has happened over the past 20 years or so in F1 has catered to Ecclestone's status quo and has not ever addressed the problem of a diminishing spectacle. The fans have been ignored and treated with contempt. The promise of a real solution once again is stifled under the weight of an enormous amount of conservative denial. Ecclestone’s talks with Montreal were just damage control. If he could get quick contracts in Montreal and other venues, FOTA couldn’t. I agree with Don. I think behind scenes FOTA made sure there will be at least one North American race back on the calendar. I'm still nervous regarding Max. I hope he doesn't pull a fast one. Call me cynical but until the stake is in the heart, the blood sucker is still around. 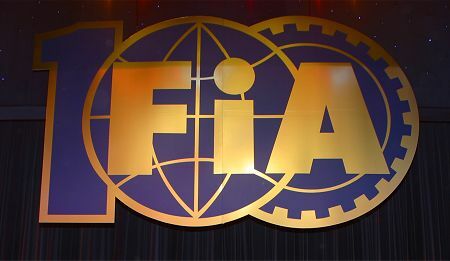 The manufacturer teams have further agreed to the permanent and continuing role of the FIA as the sport's governing body. They have also committed to the commercial arrangements for the FIA Formula One World Championship until 2012 and have agreed to renegotiate and extend this contract before the end of that period. One, FIA President Max Mosley has confirmed his decision not to stand for re-election in October this year. There are many loop holes in the last paragraph that leave openings for one such as Mosley to either put off an election indefinitely or claim not to have run but been chosen by delegates all the same. He is not to be trusted. It happened as I foresaw: Mosley finally faced the power that Ferrari wields. Ferrari is F1 wether we like it or not. Whilst I agree that Bernie started talking to Montreal again purely to outflank FOTA, the fact remains that expectations have been raised in both the fans and the teams. If he lets the thing slip through his fingers again, there will be one big stink and Bernie might find that matters are taken out of his hands, just as Max did. Quite simply, Bernie has to come up with some American races or FOTA will drive a very hard bargain in 2012 - and they will be negotiating from a position of strength. I don't buy this and I am surprised you do Clive. Max has promised to not stand for re-election. He already promised to do this if he won the vote of confidence. Then he decided he wasn't sure then tecently he decided that he definitely was standing. Of course in 2004 he resigned but was persuaded to stand. The man is a compulsive liar. I am sure a crisis will be manufcatured that only he can deal with or so many of his friends will beg him to stay that he can't let them down. He also said that he had to win the vote of confidence because he was the only person who could re-negotiate the commercial rights contract. Of course he disqualified himself from the original negotiations on the grounds of conflict of interest. There is no way he is going to be pushed out. He will either run again or be a back seat driver unless Nick Craw can out manouvre him. I can't believe FOTA have caved in with nothing signed. There is no signed Concorde Agreement. There is no change in the commercial arrangements. There is nothing limiting Bernie's powers to put races in places with less atmosphere than the moon. As far as I can see absolutely nothing has changed. There is a FOTA meeting in Bologna tomorrow and it will be interesting to see if the deal is still on once the "loonies" have their say. I am so immensely annoyed that the teams have rolled over and let Bernie call the shots again. If they do the deal to 2012 we can go through the same pantomime again but without any belief that the teams have the backbone to see it through. Today is a black day for the sport. The teams gave the fans hope that things could be better and now they have hung us out to dry. All the promises on ticket prices etc have gone. It will be interesting to see the reaction the get from this. I hope that there will be a secere backlash against FOTA. Steven: Yes, Max cannot be trusted but on this occasion I think he has been beaten. If he tries to stay in power, FOTA will immediately withdraw and the FIA will be left with nothing. I have watched him squirm out of all previous commitments but I don't see how he can manage it this time. Which is not to say I haven't missed something - he has fooled me in the past, I admit. But there comes a time when one just has to trust that the forces against Max know what they're doing and are not about to let him get away with anything. They, too, have seen him wriggle out of desperate situations so they know that he has to be watched. FOTA has been given everything everything it wanted. Bernie's share of the take was not on this particular agenda and will be dealt with in good time, I'm sure. Once again, we have to trust that the team leaders have the intelligence and good sense to influence the FIA in the right direction in mapping out the future of F1. I know I'd rather put my faith in guys like Theissen, Howett and Brawn than I would in Max or Bernie. Maybe I'm an optimist (something I'm rarely accused of), but I believe that FOTA has the interests of the fans at heart as well as their own. They at least have some understanding of how fed up with the situation the fans have become and that is why they intended to attend to such things as ticket prices in the alternative series. When negotiations with Bernie on money matters begin, my guess is that ticket prices and circuits will be on the agenda. As I see it once the teams sign a Concorde Agreement they are committed for that period of time regardless of FIA politics. Once it is signed Max can do what he likes and there is nothing the teams can do intil the end of that deal. No-one is going to believe them if they threaten to break away again. This was a one shot deal and they have blown it for a promise of some magic beans. I have a horrible feeling this isn't over. If FOTA's press release ends up agreeing with the FIA's account, Max goes as promised and the regulations are re-written removing the cost cap, then I will have faith that the war is over. The FIA in general and Max Mosley in particular has a history of reneging on promises. So I'm taking this as a battle rather than a war completed in FOTA's favour. Coming back for Max would be as easy as 2004, when he managed to un-resign two weeks after resigning. The reason he gave then was flimsy. Simply because any likely election campaign would be on similarly shaky ground does not mean that the election campaign is impossible. And Max knows all the levers to pull to get power. Clive, I wouldn't worry about Michael Boeri - he might be a Mosley sympathiser but even Max said he was unlikely ever to stand due to considering himself too old in 2004! Steven, the Concorde Agreement binds the FIA to certain obligations as well as the teams. The FIA has attempted to ignore certain of these obligations (for example the F1 Commission and the need for the FIA to follow its own regulations), but it will find it very difficult to do so now without getting sued or finding itself sans eight teams, possibly at a difficult moment. Steven: If Max goes back on his promise this time, there won't be any threats - FOTA will just withdraw. There is no way the teams will put up with any more of his nonsense. And legal threats from Max will make no difference. The FIA and WMSC know what he has promised and will not back him in any law suits when it means losing their cash cow of F1. Alianora: I can't see it, Ali. For the reason I gave Steven, there is no way that Max can stay and keep the teams in F1. I was expecting a good debate between Clive and Steven Roy, and I got one! Even got Alia's opinion, too. My gut tells me that Max is really out for one reason - Boeri took over. There's no way Max would've given him power if he wasn't out. Max is not one to dispense power - even temporary power. While Steven makes a good point on the Concorde, I'm sure FOTA will indeed keep an eye on the situation in the FIA. They haven't indicated when a Concorde will be signed - for all we know, it may happen only after Max is formally voted out. In other words, while Max can go back on his word, FOTA should more than enough means to ensure he doesn't. He says that the Boeri story isn't true after double-checking. "Did Bernie Ecclestone hang Max out to dry? Well, look at [it] this way. Three guys went into a room and two came out with jobs." The resolution came after the FIA World Council, chaired by the Deputy President Nick Craw (my emphasis), asked FIA President Max Mosley, commercial rights holder Bernie Ecclestone and Ferrari representative Luca di Montezemolo to find a solution. The three men then went to a different meeting room and hammered out a deal. Is it my imagination or is it implied that Craw told the three to go off to another room and not come back until they had reached agreement? It was exactly what was needed and I cannot but hope that is more or less what happened - since it would demonstrate considerable authority and common sense coming from Nick Craw. I have a good feeling about him anyway and, from what I have read, he would make an excellent FIA president. HELLO, Nick Craw! If that is true (and I hope it is), that would be even more explosive than the Boeri story. Not to mention it makes Craw look incredibly good in front of the WMSC. I have a feeling we have not seen the last of Max. He may yet break his promise (surprise surprise) or maneuver himself into a slightly different position (Putin like) to keep himself in effective control, dictators do not just go when told. I am also devastated that Golum is remaining part of F1 as Tracks are loosing money hand over fist due to his greed, if The teams are facing cost cutting for F1 to remain viable then so should Bernie. Max gets to stay in the FIA Senate as a past president. He'll be causing problems from that position you can be sure. I guess Max found out the hard way that Ferrari is a bit more important than himself. Once again...we've got a guy from Ferrari alone with Mosley & Ecclestone, making secret deals. Ferrari have shown in the past they aren't to be trusted as they are fully capable of selling out the rest for an advantage. So much for transparency!! Pardon me, but has anyone seen Mr. Mosely with a stake through his heart? I shudder to imagine what may come otherwise. Journeyer: I thought I had found the ideal candidate in Craw but have done a bit of research today and am beginning to have doubts. Although I have not been able to establish his exact age, he must be even older than Max (Nick was CEO of a racing company in 1968). He is also said to be a Mosley supporter. Ah well, I guess I'm back to supporting a no-hoper. Alex Wurz for president! Lee: I have the same fears but have to hope for the best. It was always going to be a messy business getting rid of Max and Bernie but at least the process is begun. Steve: No doubt Max will be trying to exert influence from his position in the Senate but at least it will be very difficult for him. He reduced all the delegates to puppets by abrogating all their powers to himself and must now suffer the consequences of that action. It is important that, whoever gets elected, is resistant to pressure from Mosley, however. Nick: Yeah, that thought has crossed my mind too. All we can do is hope for the best, however. since we're doing the tolkien metaphors here, i liken max to saruman, his teeth may be pulled but he's still capable of damage in small, mean ways-even if it is through his minions. i just don't see max rolling over on this. glassy eyed and crazed with his own twisted perception of power, yes. accepting defeat? nah, that's just not max. bernie? well, like dogs, i've heard that it is the little ones who hang on the longest. i'm glad we'll still have a viable series next season but, i am really disappointed, too. i was liking the idea of budget controls just to see what they come up with. the obstacles are what pushes the envelope in f1 developement. Given how every F1 fan sported the FOTA dream, Luca should not insult us by telling us how great Max is. I cannot trust the FIA, under any circumstances... they have proved beyond doubt, that they are the most incapable body for racing period. They were not even able outst a scandal hit president, when every manufacturer was clearly wanting his head on a platter. The FOTA dream of a great racing platform has died. Vera: If Max is Saruman, then surely Bernie must be Sauron...? You are right about necessity being the mother of invention. Let us hope that not too much creative energy goes into evading whatever system of budget control is introduced - we have seen how concentrating on irrelevancies like KERS can ruin a design team's main effort. Ron: Luca's praise of Max was a purely political thing, I think. It is easy to be gracious in victory, after all. Although I sympathize with your feelings regarding the FIA, it may be that they are better than we think. For years Max has kept the delegates under his control and there may be good qualities waiting to be revealed in many of them. In the system that Max has created, it was unwise to voice dissent and, with a wiser and more competent president, the FIA might well change for the better. We are back at war. Peace is over and Max is threatening to stay. Steven: Yup, I was reading the report when your comment arrived. He just won't lie down and die, will he? I think he needs a stake through his heart then shot with a silver bullet then beaten to death with a piece of the true cross then burned. A verbal promise from Max isn;t worth the paper it is written on. I think he is very stupid to make his move now though. THe teams still have time to put ther championship in place although now he believes they won't do that because they backed down. sadly no one has mentioned the prospect of Jean Todt taking over the reigns at FIA. Now that we are all cheering the demise of Max plus the fact that Ferrari have accepted to play on a level playing field BUT what is this I am hearing about the good prospects of having a Todt tenure at the FIA? What if Ferrari' plan has all along been this - Max out Todt for presidency - and then back to full throttle underhand deals between FIA and Ferrari? Are we hailing a trap door? Michael: It's true that Jean Todt has been mentioned in connection with the post of FIA President but this is only speculation so far. He is not popular amongst the team managers (including di Montezemolo, I suspect) and his election would likely lead to as much trouble as Max has created. I doubt that he stands much chance of election - the FIA will go for one of their own. Clive, is there any chance you could get on a plane to Paris and tell Max that? Because I don't think he's convinced! He could have stayed and kept the teams in F1 had he had the sense to wait until about mid-August. But no. He had to open his mouth before we'd even finished the day of celebration (or at least relief at the truce). Now I don't think he can keep the teams and himself in F1 simultaneously, but that was because I gave Max more credit than he deserved. I see the difference in our perceptions now, Ali. You think it would have been possible to have an F1 with both Max and FOTA (meaning Luca) somehow co-existing, whereas I have been pretty sure that the first item on FOTA's agenda has always been the removal of Max. But I guess it doesn't matter now which of us was right - Max has made it pretty clear that there can be no single F1 as long as he's around. As long as Madman Mosley holds power there will be trouble. There is no trick too low for him as he knows not what shame is. For FOTA to think he will leave without thoroughly fouling the F1 nest is disappointing to say the least. Anyone here ever heard of Neville Chamberlain? History repeats itself for those who forget. Once a rat is cornered, he best be done in for, as in this case he may be quite rabid. Even if he's gone in October what will be left will be a whole bunch of his henchmen that don't seem to know wrong from right any better than Mosley. From now until October is plenty of time for Mosley to reap havoc as his personal vendetta toward F1. Clive, what I meant was that Max could have forced the teams to stay (or at least not make a breakaway series) whether they wanted to or not - by mid-August, a new series would have been impossible, so the choices would have been to compete in a lower sport (or not at all) or comply with Max's wishes. Some teams would have left but most would have stayed because they're desperate for a piece of the marketing cachet and/or the contracts could have been used against them. Simply because Max would have broken them first does not mean all the teams could afford the legal fees of extricating themselves, and a broken FOTA (due to those teams taken out by their parents) would have had no chance against Max. Now, Max has sealed his doom. I'm still not sure there'll be a breakaway - it'll just get to October before it is re-integrated. Alianora: Ah, I see now what you meant. And, as usual I am in complete agreement with what you say.